Welcome to my new blog. I know — who needs another boring blog to follow??? I thought I would do this rather than send all those pesky emails with photos attached. You all can keep track of our comings and goings when you want to — at your leisure. We’re in NYC, doing a little last minute packing. Our flight to Italy is tonight. Apparently you have to take a redeye to Italy from JFK. We’re too old for overnight flights but we’ll make the most of it. The Goldbergs will be on board — they flew out from LA this morning, they’re going to be really exhausted. The Reisses are flying out tonight too, but they’re going to Florence. We’ll meet them at the villa in Tuscany in a few days. We had a perfect New York day yesterday: lunch at one of our favorite upper east side Italian restaurants — Centrolire, then drawings, photography and collage at the Metropolitan Museum. We ended the day with seeing Bill Charlap’s Trio at Dizzy’s Jazz Club. 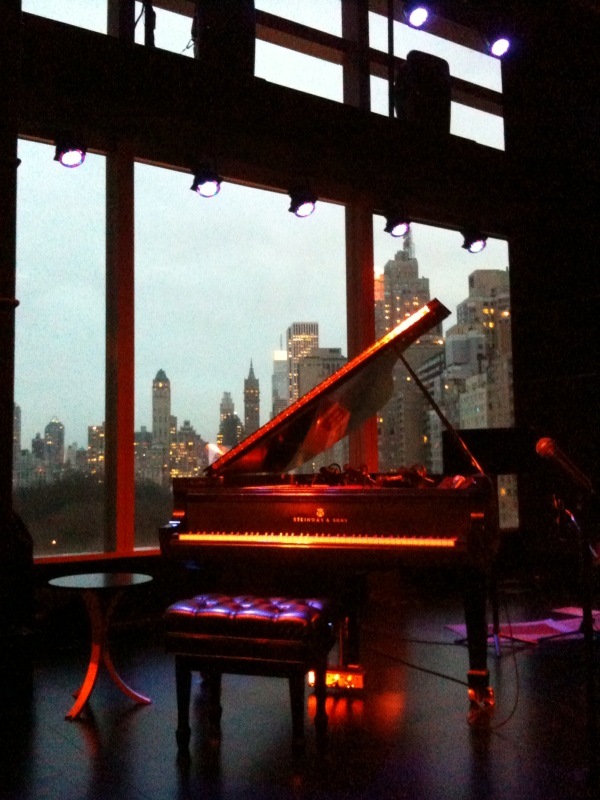 Dizzy’s wins the prize for the best location of a jazz club — overlooking Columbus Circle and Central Park. I’ll write again from Italy. Chow! This entry was posted on Friday, March 12th, 2010 at 5:41 pm	and posted in Uncategorized. You can follow any responses to this entry through the RSS 2.0 feed.